Under Tavi of Calderon, heir to the crown, war-torn Alera rebuilds while politicians and nobles vie for power. But from the south comes news: the dreaded Vord have come to Alera. For a thousand years, Alera and her furies have withstood every enemy and survived every foe. 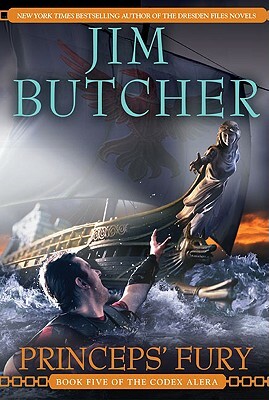 A martial arts enthusiast whose resume includes a long list of skills rendered obsolete at least two hundred years ago, Jim Butcher turned to writing as a career because anything else probably would have driven him insane. He lives with his wife, his son and a ferocious guard dog. "From the Paperback edition."